The Samsung Galaxy Note 7 is probably the most talked about smartphone at the moment, although for all of the wrong reasons. The handset is being recalled by Samsung as some units of the device have caught fire. According to a recent report by Bloomberg, Samsung rushed the launch of the Galaxy Note 7 in an attempt to beat Apple and their new iPhone 7. The new iPhone 7 has a similar design to the iPhone 6S and the handset came with some upgrades and new features, but it was not a major upgrade over the previous handset. Samsung apparently wanted to capitalize on this and rushed to get their Galaxy Note 7 into stores and this may have been what caused the problems with their batteries. So the top brass at Samsung Electronics Co., including phone chief D.J. Koh, decided to accelerate the launch of a new phone they were confident would dazzle consumers and capitalize on the opportunity, according to people familiar with the matter. They pushed suppliers to meet tighter deadlines, despite loads of new features, another person with direct knowledge said. 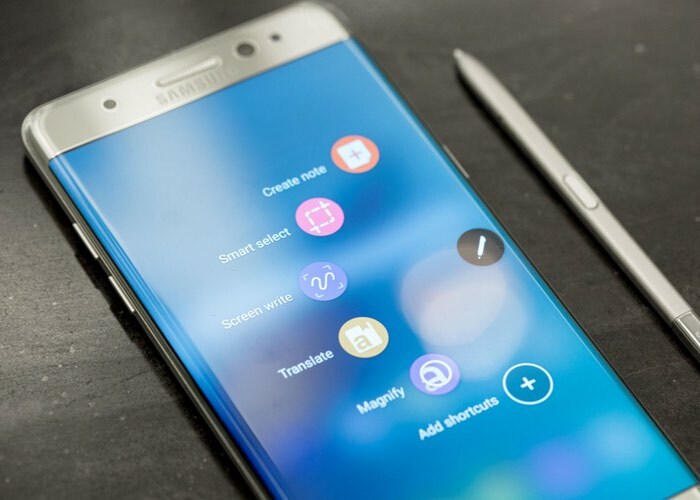 The Note 7 would have a high-resolution screen that wraps around the edges, iris-recognition security and a more powerful, faster-charging battery. Apple’s taunts that Samsung was a copycat would be silenced for good. Unfortunately just a couple of weeks after the handset launched the battery problems started to surface and this issue is expected to end up costing Samsung around $1 billion.